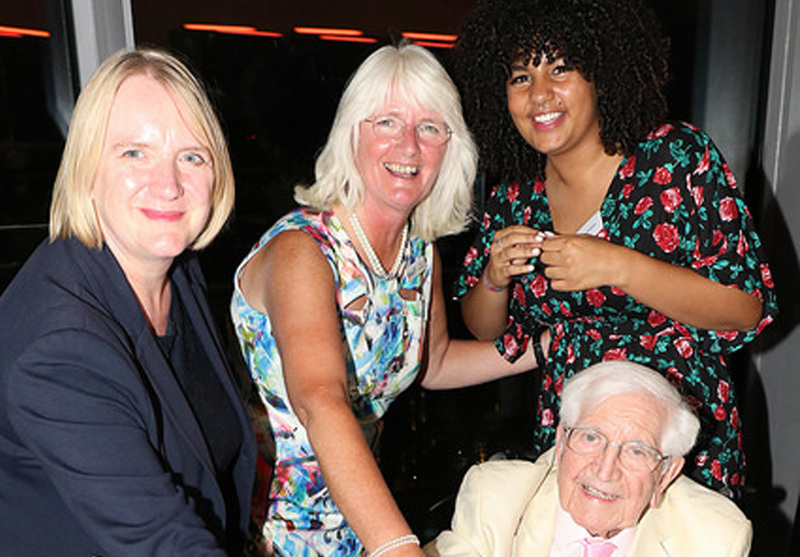 The Jack Petchey Foundation celebrated its 18th birthday at City Hall, London on Monday 17th September hosted by Deputy Mayor, Joanne McCartney AM. There the Foundation announced the winners of £180,000 worth of new grants for projects supporting financial education for young people, young people in care, young carers, young people with mental health problems and homeless young people. In an innovative move a panel of young people themselves interviewed all the charities which applied for the open grants. They asked them probing questions and then chose who the grants should be awarded to. The issues the projects had to address followed a survey of 18-25 year olds asking what obstacles they faced in the transition to adulthood. MyBnk who work across London supporting financial education. Funding will deliver 11 Money Works workshops. This project will focus on ‘hard to reach’ young people who are at risk of financial exclusion. Salmon Youth Centre, Southwark, to give employment guidance to 15 disadvantaged young people with complex needs (including criminal records, mental health problems and disabilities) supporting their year-long apprenticeships at the centre. The Albany, Lewisham, for a three tiered arts engagement programme to upskill young people. This includes open skills workshops and bespoke training through a placement for six young people. Caxton Youth Organisation, Westminster to start a mental wellbeing The funding will help provide a part-time Transitions Youth Worker supporting young people with learning disabilities on their new Employment Support and Independent Skills programme. Carers Lewisham who will start a volunteering programme for young carers focusing on those who are not in education, employment or training (NEET). Ignite Trust for a specialist gangs worker to run a programme of support and mentoring for young men at risk of offending, those affiliated with gangs or involved in crime. Suzy Lamplugh Trust to support the Keeping Myself Safe programme in three Centrepoint locations in London and Essex over 12 months. It will help 60 young people aged 18-25 who are in care or homeless. Reaching Higher for a mentoring project to support young care leavers transitioning into independence through a combination of group workshops, mentor pairing and practical skills. The Money Charity to develop and pilot ten young adult money workshops in London and Essex, with 12-15 young people attending each session. The Royal Society for Blind Children to support blind Londoners aged 18-25, through workshops on money management, social/ creative activities and one-to-one support. Jigsaw4U, Sutton to provide funding for a Tenancy Support Practitioner to offer a holistic support service for young people leaving care. The Jack Petchey Foundation is not only a grant funder. It also supports a wide range of youth programmes from vlogging to volunteering, sports to science, art to internships. This allows young people to find their unique talent and make a positive contribution to society. It includes the world’s largest public speaking competition for young people, Jack Petchey’s “Speak Out” Challenge! and the UK’s biggest dance programme for schools, Step into Dance. At a time when many youth services are being cut the Foundation provides over 1,600 organisations with the means to recognise young people’s accomplishments through membership of its Achievement Awards Scheme. This invests almost £3.5m per year in grass roots youth work. In total the Jack Petchey Foundation has invested over £118m in projects supporting young people in London and Essex over the last 18 years. Several winners of the Jack Petchey Achievement Award joined in the 18th birthday celebrations speaking at the event including Ruti, winner of the Voice UK 2018. The founder, Sir Jack Petchey CBE left school aged 13 with no qualifications yet went on to build a multi-million pound business empire. His driving ambition has been to inspire and motivate young people and give them positive encouragement. Dame Helen Mirren, Patron of the Jack Petchey Foundation said “I am so proud to be patron of the Jack Petchey Foundation. Each year hundreds of thousands of young people are inspired to achieve more. I know from my own experience that lack of confidence and self-doubt is something that most of us struggle with as we grow up and find our way. Tim Campbell MBE, winner of The Apprentice and Patron of the Jack Petchey Foundation said “Hearing about the amazing accomplishments of young people at the Foundation’s Achievement Award events has been awe-inspiring. Few organisations celebrate young people in the variety of ways that the Jack Petchey Foundation does. Having invested £118m to support young people in both arts and academic pursuits, it has also motivated hundreds of thousands to take up opportunities and most importantly given them the confidence to believe they have a skill, talent or attribute of value – including my daughter who won an award three years ago. That’s priceless!